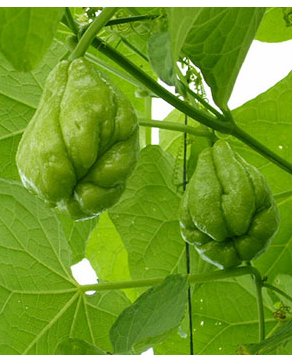 Chayotte, also known as “Chow Chow”, is this lovely pear shaped light green vegetable of gourd family. It is one of the well-recognised vegetables in Mauritius, mid-American regions and in some southern US states like California, Louisiana and Florida. Chow-chow is a perennial vine that climbs by clinging and it needs a well-drained moist soil and long, warm growing season to flourish. When I think of Chow chow, I remember them in their natural habitat, running along fences, over shrubs, and even straight-up trees. My memory of these lovely vegetables is seeing them in almost everybody’s home garden in Mauritius. Picked fresh and cooked within minutes, they are so fresh and tender, organic vegetable at its best. My mother still grows them in our home garden, it was one of my papa’s favourite vegetable not only because they are easy to grow but above all they are very tasty, melts in the mouth. They are full of flavour and full of all goods things. 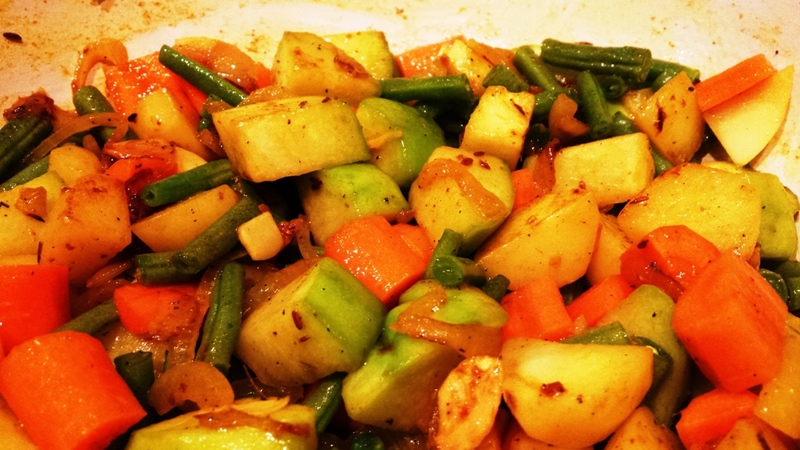 We’ve always had these vegetables in abundance in our Home gardens in Mauritius. I remember as a child, my dad would sometimes come home for lunch, and mum would quickly run into the garden pick a few “chowchow” and cook them in just a bit of onion, garlic, few simple spices, fresh thyme and a dish would be ready in a flash. Great freshly prepared dish to accompany any other leftover food from the night before. Being a low-calorie and fibre-rich vegetable, it is recommended in many diet in cholesterol controlling and weight reduction programs. 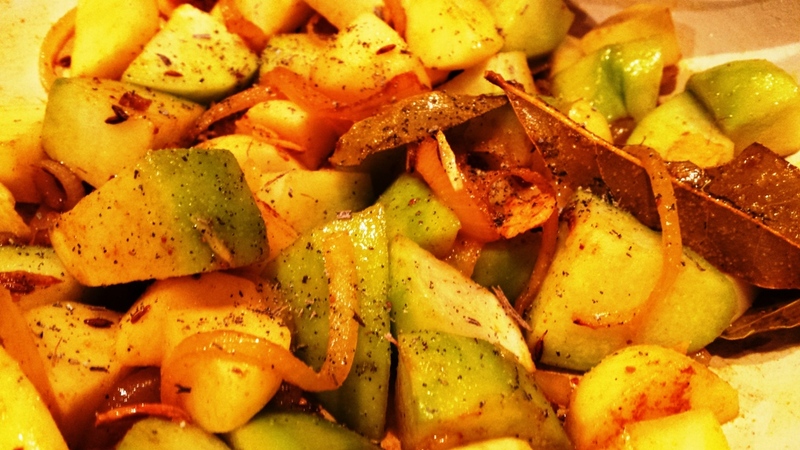 Furthermore, Chayote contain small levels of essential compounds and antioxidants. These compounds help scavenge harmful reactions from the body and hence play a role in prevention of cancer, aging and various disease processes. 2 Tbs vegetable or rapeseed oil (Rapeseed oil is low in saturated fat, high in monounsaturated fats and a good source of Vitamin E). Cover the pan and leave to simmer for 5-10 minutes or until all the vegetable reach the tenderness you desire, stirring in-between. Taste for seasonings. Serve warm with crusty bread, chapati or Naan Bread. This stew is such a comfort and warming dish perfect for a cold winter’s day.